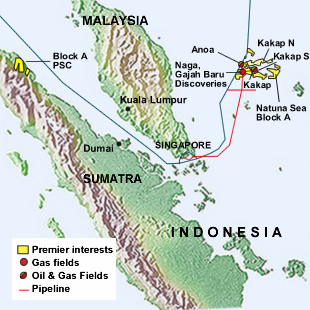 As reported by Reuters, Malaysia’s state oil and gas company Petronas has resigned from a consortium exploring Indonesia’s East Natuna gas project, Asia’s biggest untapped gas reserve, Indonesia’s state oil and gas company Pertamina said yesterday. “We received confirmation from our upstream director Muhammad Husen that Petronas has backed down as our partner in East Natuna,” Pertamina spokeswoman Wianda Pusponegoro said yesterday. In December 2010, Pertamina signed agreements with Exxon Mobil, Total and Petronas as partners to develop the Natuna gas field.